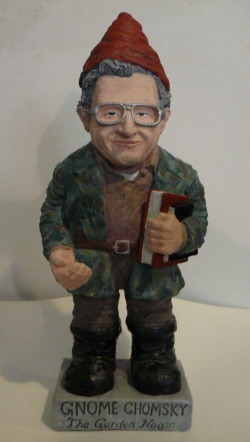 GNOME CHOMSKY I - Additional Views - Just Say Gnome! 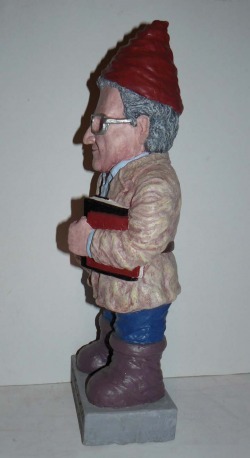 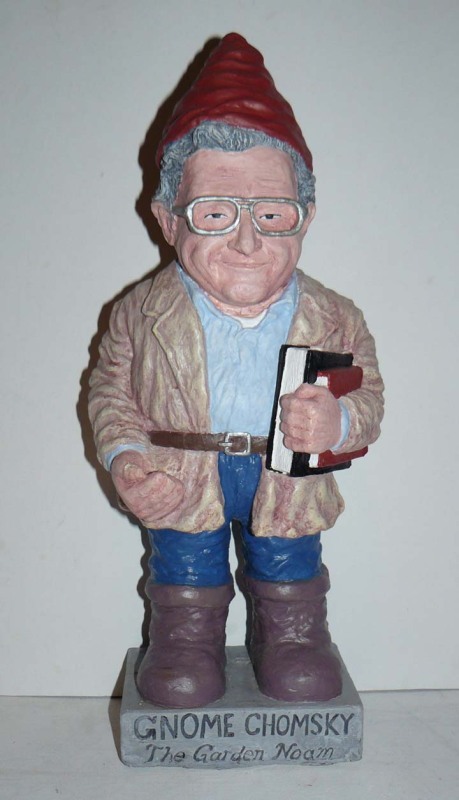 This unpainted version of Garden Gnome Chomsky is in a light gray color of cement. 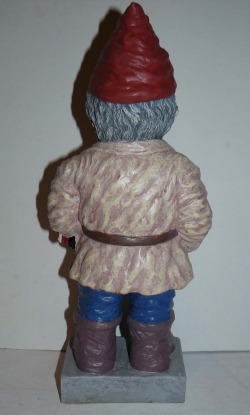 He costs a lot less than the fully painted version but any seam lines on his sides can't be patched - or will be patched in with a similarly colored solid-epoxy - so he will probably look a little bit rougher. 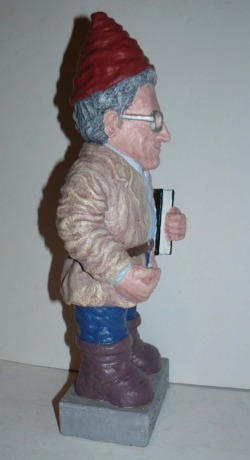 CHOMSKY ALL CAMOFLAGUED OUT AND READY 4 WAR! About International Shipping (updated): For International shipping please contact me directly via the 'Contact Us' page to work out the specific shipping costs and appropriate time frame and method of payment. 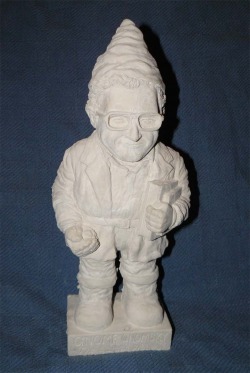 I apologize that I don't offer an automated International shipping option - but due to the variable nature of shipping rates depending on the Nation of destination and my still rather limited knowledge of website mechanics this personalized form of communication is the best option I can offer for now.